I started out working on flash memory and optics, and then moved up one level to CPUs. I was lucky enough to land at Centaur, a small company that gave me a lot of freedom, and I ended up doing RTL, ucode, verification, bringup, test, and pretty much everything else you can do on a CPU. After that, I worked on hardware/software co-design to speed up a problem domain for Google. I’m off to start a new job soon, but I’m not big on announcing things in advance, so that’s all I’m going to say about that. If you’re so inclined, you can check out my github, linkedin, and resume, but that just has a bunch of details. What is the Intel® Xeon Phi™ coprocessor? 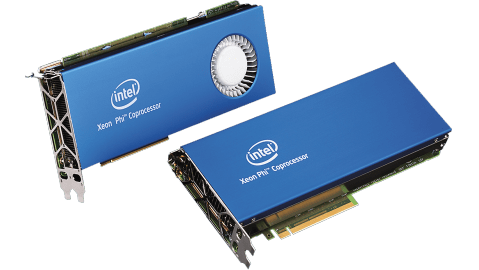 Intel® Xeon Phi™ coprocessors are PCI Express* form factor add-in cards that work synergistically with Intel® Xeon® processors to enable dramatic performance gains for highly parallel code—up to 1.2 double-precision teraFLOPS (floating point operations per second) per coprocessor. Manufactured using Intel’s industry-leading 22nm technology with 3-D Tri-Gate transistors, each coprocessor features more cores, more threads, and wider vector execution units than an Intel Xeon processor. The high degree of parallelism compensates for the lower speed of each core to deliver higher aggregate performance for highly parallel workloads. 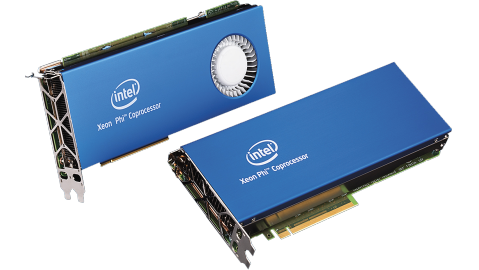 What applications can benefit from the Intel Xeon Phi coprocessor? While a majority of applications (80 to 90 percent) will continue to achieve maximum performance on Intel Xeon processors, certain highly parallel applications will benefit dramatically by using Intel Xeon Phi coprocessors. To take full advantage of Intel Xeon Phi coprocessors, an application must scale well to over 100 software threads and either make extensive use of vectors or efficiently use more local memory bandwidth than is available on an Intel Xeon processor. Examples of segments with highly parallel applications include: animation, energy, finance, life sciences, manufacturing, medical, public sector, weather, and more. Learn more about Intel® Many Integrated Core Architecture (Intel® MIC Architecture) development. Some advantages the NUC has over many small form factor machines are the speed of the processor, the ability to have up to 16 GB of RAM, four USB 3.0 ports, and both a mini HDMI and mini DisplayPort connector. Being an Intel Core i3 CPU, if some code works on a regular x86 desktop machine then it shouldn’t require any por The Haswell NUC has an infrared receiver on the front of the unit. I thought getting that working would be a matter of starting lircd and probably telling it what remote I have at hand. Unfortunately there was no /dev/lirc0 device file. And my attempts to cajole a working one into existence were ineffective. I then found this post in an Intel Community Forum. I’ve repeated the commands from the above link below in case the link goes stale. The first command verifies that the IR driver didn’t load properly and the second block creates a state that allows the nuvoton-cir module to load properly. After doing that, the NUC could receive input from an IR remote control. OVER THE PAST week or two there has been a lot of media hype about Intel NUC [1,2] (a lot of it was purely marketing), in part because Linux support was improved [3-5] (it was hard to install GNU/Linux on these machines) and there was a benchmark too . One angle that was scarcely explored in the media should have included the simple question: why did Intel release a Linux-hostile machine in the first place? Let’s expand that question. Was it not properly tested? Does Intel not care about Linux? Recall how Microsoft fought Linux affinity at Intel. There’s a lot of food for thought here, especially now that Intel wants to impose UEFI on everyone (with security risks). For ethical computing with no surveillance, no back doors, and no monopoly abuse people should avoid everything from Intel (where possible). They should say NUC you to Intel.